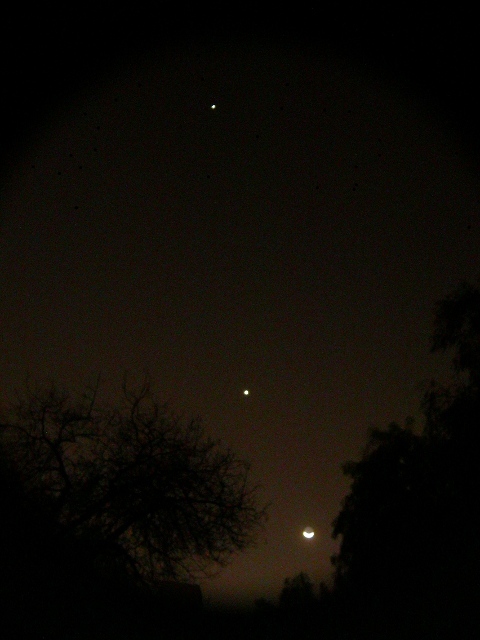 From bottom to top: the moon, Venus, and Jupiter, on Feb. 24, 2012. Venus and Jupiter are both high in the evening sky at sunset right now. Just look west right when it gets dark and they’ll be the two brightest stars in the west. Venus is the brighter and lower of the two. 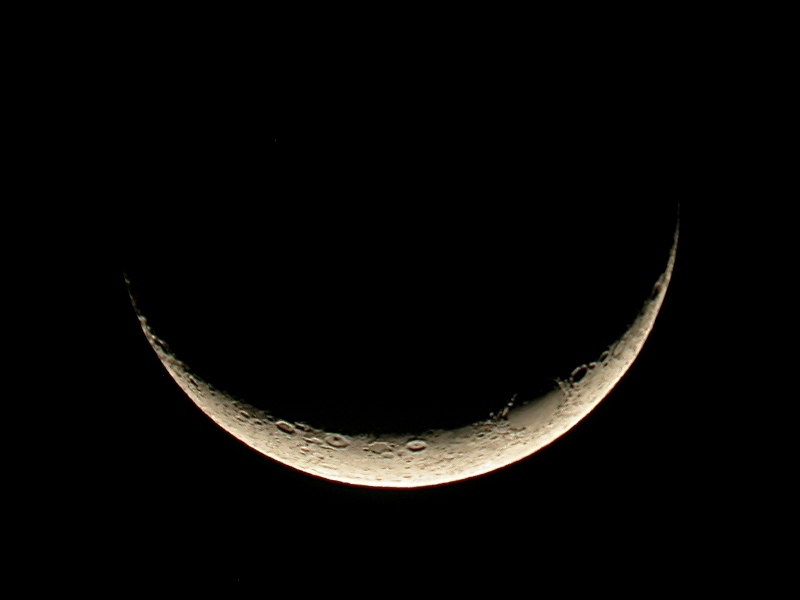 For the next couple of nights they’ll be joined by the waxing crescent moon. Tonight the moon was just below Venus, so the three bodies were stacked up the sky from lowest and brightest to highest and dimmest. Early next week the moon will pull away from the planets as it continues on its monthly eastward trek around the sky, but Venus and Jupiter will still be there and looking good. A close-up of the moon at the same time as the photo at top. Venus is slightly gibbous right now (between 4 and 5 in the diagram below). On March 26 it will achieve its greatest eastern elongation from the sun, 46 degrees, meaning that at sunset it will be halfway between the horizon and the zenith. At that point it will be half-lit as seen from Earth (5). From then on into April and May, Venus will get lower and larger as it goes into its crescent phase (6) and gets ready to pass between the Sun and the Earth. 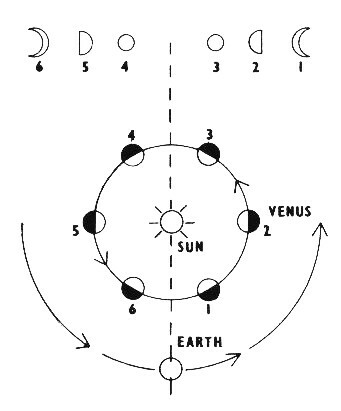 Venus makes that passage all the time as it transitions from being the evening star (east of the sun as seen from Earth = above the western horizon at sunset, 6 in the diagram) to the morning star (west of the sun as seen from Earth = above the eastern horizon at sunrise, 1 in the diagram). Because the orbits of Earth and Venus are not precisely in the same plane, Venus does not usually pass directly between the sun and the Earth but passes above or below the sun as seen from Earth. This time will be different; as happens only a couple of times per century at most, the orbits are lined up just so and Venus will pass across the face of the sun as seen from Earth. That’s the transit of Venus I’ve been so het up about. Stay tuned for more on that, and keep looking up at sunset for the next few weeks to see Jupiter and Venus continue their tango. Thanks for the heads up. Took a few pics of this event using the digital stills option on my Canon video camera.